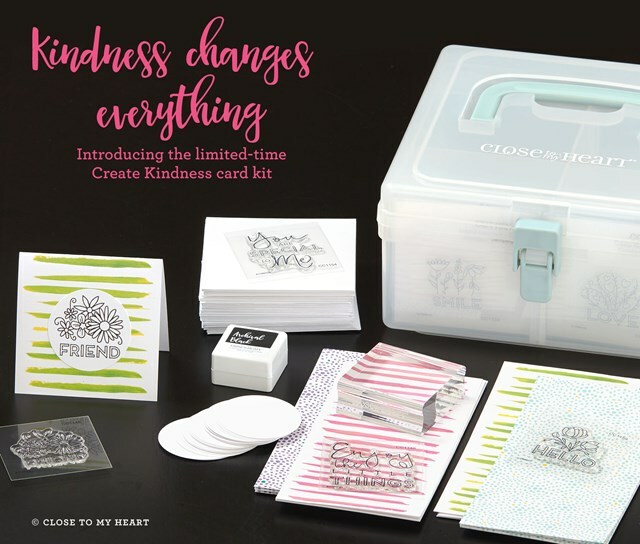 This month CTMH has a sweet special card kit called Create Kindness to celebrate National Stamping Month. I love all 8 of the thoughtful stamp images, but this "Kindness changes everything" sentiment is my absolute favorite. Choosing kindness is something I talk about with my boys all the time, so you could say that this one is very close to my mommy heart. I had painted some small panels of watercolor last week, just messing around with my waterbrush and some thick cream colored watercolor paper. Once that was dry I trimmed the panels to size and stamped over the watercolor with the balloon boy from True Love. I paper pieced the balloons with a bit of Oh Deer paper. Then I set those aside to ponder what to do with them. When I saw this week's CAS(E) this Sketch challenge, I knew they would be perfect! I tore the bottom edge of a colonial white panel and inked the edges with black ink. I added the watercolor panel to the top, and stamped the sentiment at the bottom in Black ink. 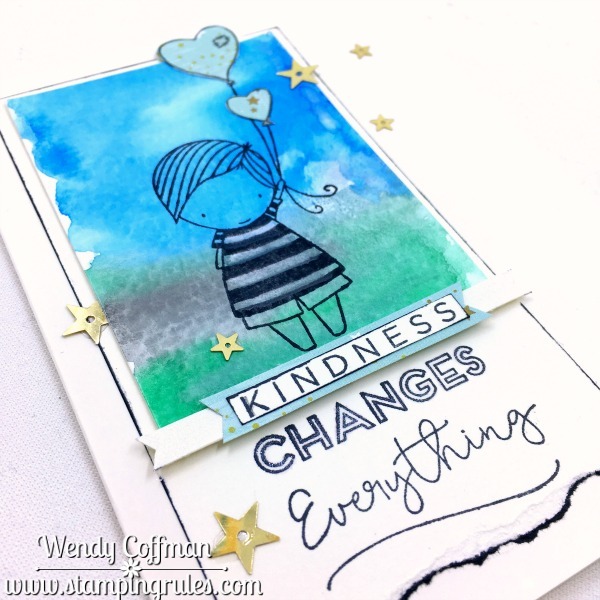 I stamped it again onto a scrap of colonial White CS and trimmed out the "KINDNESS" word. I layered this over two banners with thin foam tape, overlapping the bottom of the watercolor panel. I added a scattering of gold star sequins and I painted the banners and balloons with shimmer pen. 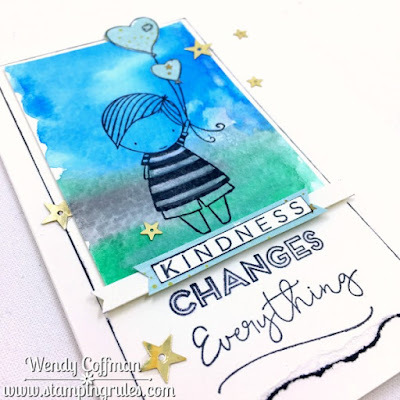 You can see all the sweet stamps that are part of this Choose Kindness special here. I'm happy to share that the stamps are available as part of a kit or as individual images. You can use the hashtag #createkindness to follow along with the acts of kindness or post some kindness of your very own. 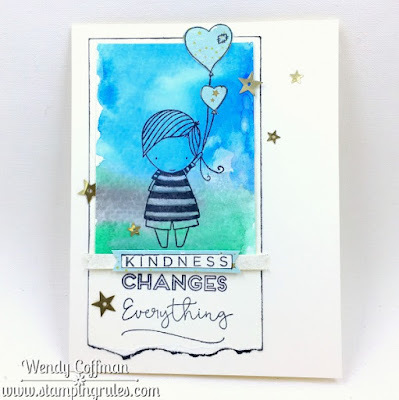 Hugs to you, Stampin' Peeps! This is just beautiful! Like you I am on a big of a "choose kindness" campaign with my kids at the moment. This card warmed my heart. This is so sweet! Wonderful take on the sketch!